Voodoo 13 2002-2006 Acura RSX Rear Lower Control Arms. 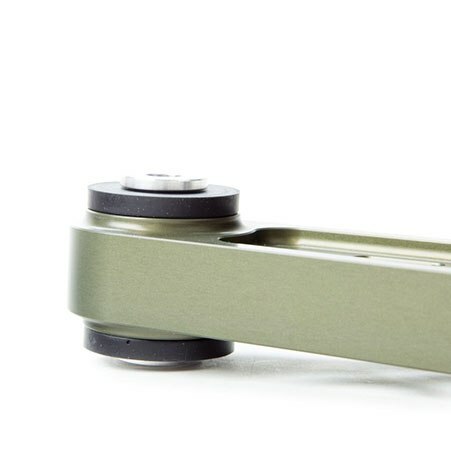 Precision CNC machined from high strength 6061 aluminum then coated in MIL-A-8625 Type III Hard Anodize ensure these control arms are lightweight and corrosion resistant. Specially engineered Energy Suspension polyurethane bushings allow optimal deflection rates and increased longevity over OE bushings. 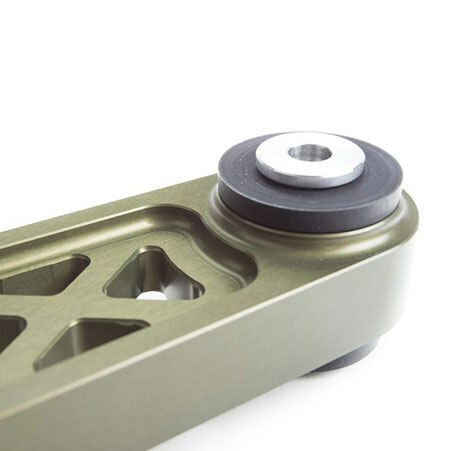 Our aluminum flange bushing design allows maximum surface contact between the bushing and vehicle mounting locations while not allowing the bushing to prematurely wear. Grade 10.9 zinc plated hardware and special socket to remove OE bolts are included. Note: Raw finish does not have anodize coating. Voodoo 13 2002-2006 Acura RSX Rear Lower Control Arm are Precision CNC machined from high strength 6061 aluminum then coated in MIL-A-8625 Type III Hard Anodize . Specially engineered Energy Suspension polyurethane bushings allow optimal deflection rates and increased longevity over OE bushings. Precision CNC machined from a block of 6061 aluminum. Unique “X” pattern is sure to tell the VooDoo13 arms apart from the competition. 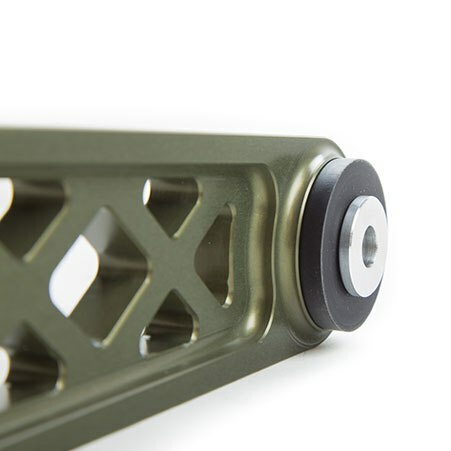 MIL-A-8625 Type III Hard Anodize is not your ordinary type of anodized finish; it is extremely durable and is damn near scratch resistant. You’ll have to take a chunk of metal out before you scratch this MIL-SPEC finish!